Do you want to boost sales by optimizing your staff numbers? 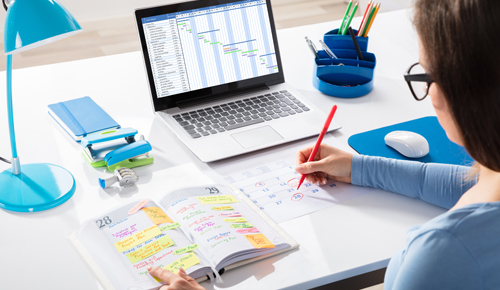 Reduce staff turnover, and simplify scheduling? If these questions grabbed your attention, then we have the same concern and we have an exceptional software, you won’t be able to wait to get your hands on! The AZPlanner is a great ally for conducting data analysis of past sales, customer traffic, and resources to forecast your optimal future staffing level requirements. The forecasting of sales trends is made easy by artificial intelligence and machine learning. By analyzing your business data, the AZPlanner can equip you with the best possible rota to meet your customers' needs and simultaneously increase the chances of your customers making more purchases. 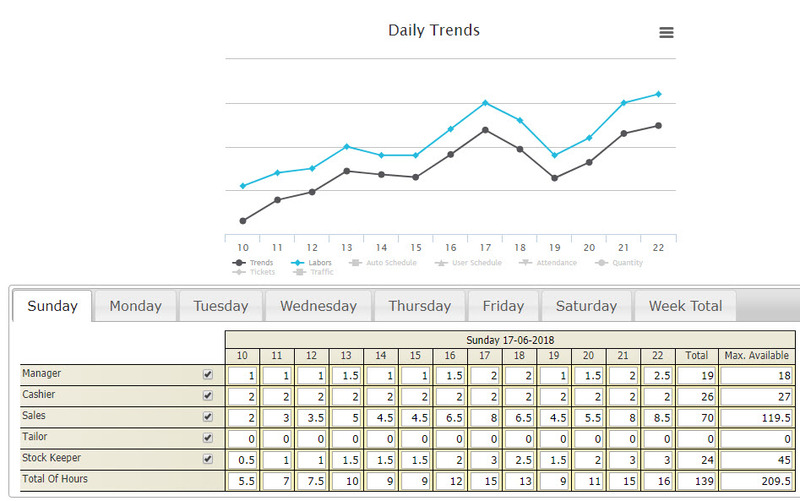 The AZPlanner will pick up on trends of certain days and times where your business is overstaffed or understaffed to reduce wage expenditure in one sense, and to increase sales in another. If your business has a 20% more potential at a certain time, then the AZPlanner will increase staffing levels by 20% and will compensate via reducing staffing during the lower traffic hours. To highlight its capabilities let’s take a look at it in a step-by-step process. AZPlanner can then provide managers with an optimal staffing rota that will minimize the staffing cost and maximize sales potential. Yet saving managers' time to better invest on their store and customers. The provided rota will always take into account employment labor law rules, employee preferences, staff skills, business needs etc. 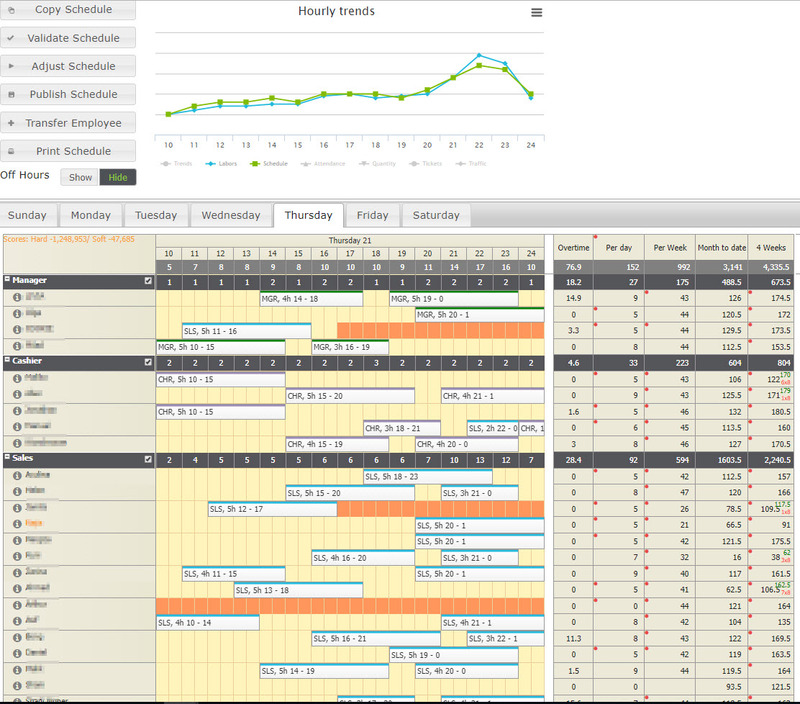 Additionally, AZPlanner can impressively identify hot zones and place staff in the adequate locations at the right time. AZPlanner performs continuous assessment and provide managers with accurate updated live data so they optimize their store further. Correct staffing is essential to the successful running of any business and to make yours more efficient. AZPlanner is here to help. Your next step is to invest in the cost killer, profit enhancing staff performance, next generation software.